Expand physical and behavioral health options for people experiencing homelessness. There are not adequate health services to support safe and stable exits from living outside for people experiencing chronic unsheltered homelessness. 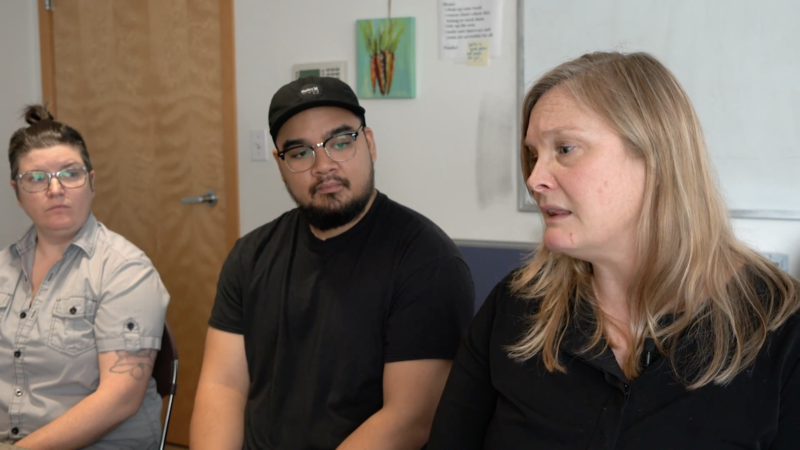 There have been many behavioral health improvements and innovations in King County, however, the lack of targeted care for people experiencing homelessness is a significant barrier. While the majority of people experiencing homelessness do not suffer from substance use disorder or psychotic spectrum illnesses, they make up a disproportionate number of people currently living outside. Due to the nature of the crisis they are facing, the needs of this population are often acute and debilitating. Any attempt to directly incorporate them into existing behavioral health services would likely tax providers and destabilize the system. Because of this, Action 7 is to expand physical and behavioral health options for people experiencing homelessness. To appropriately respond, it is necessary to develop resources tailored to the needs of this population. These will require the deployment of new service models and the activation of different funding models from both the federal and state levels, as opposed to the repurposing of existing system components, which are already performing vital functions for other vulnerable populations. Our research with customers1 and providers identified two main areas of health-related need among those experiencing homelessness. First, health needs (both physical and behavioral) are difficult to prioritize for customers who find themselves in ‘crisis mode.’ Their ability to sort out their degree of need is compromised by the complexity of their situation, the stress associated with finding ways to navigate unfamiliar service systems, feelings of isolation, and (often) the need to care for the basic needs of others (children or family). Second, continuity of care is particularly challenging within service systems that typically don’t address co-occurrence of health needs (e.g., substance use and mental health), or basic access challenges (such as transportation and coordination among providers). In addition, lack of familiarity with health services and care coordination among staff providers creates a piecemeal and reactive approach to addressing the health needs of customers. Finally, many health services are staffed by inexperienced providers whose tenure is frequently very brief, which results in inconsistent quality of care. Hear the community speak to health challenges and the lack of quality care. n = 1,036 - 1,040 Note: Multiple response question. Percentages may not add to 100. Given the reality that many people are not captured by even the most well executed PIT count, it is reasonable to operate under the assumption that the need for behavioral health supports is greater than what is reported here. This represents a large population in need of services, particularly services that are capable of responding to high levels of acuity. People living with serious mental health conditions who are also forced to reside outside often have complicated physical health needs in addition to their behavioral health needs. Managing these simultaneously is often too difficult for standard health providers, and is attempted only to the detriment of the patient. Creating programs that have the capacity to meet customers needs will require a focus on the development of innovative models of clinical support, some strategies for which can be found below. However, those models will only function if they are embedded with providers who have the capacity to manage them. While some providers may be able to scale quickly into providing robust physical and behavioral health services to people experiencing homelessness, others will need assistance. Overall, there is a need to have a secure pipeline of clinicians skilled at providing the kind of support necessary. Therefore, several strategies below focus on increasing the capacity of providers. Focus on the development of innovative models of clinical support. 1. Invest in holistic care communities. Hear from customers at Camp Second Chance about the importance of community. Holistic care communities are housing models that incorporate Assertive Community Treatment (ACT), a customer-involved and multidisciplinary team casework model, to provide comprehensive community-based psychiatric treatment. The model focuses on rehabilitation and support for people living with serious mental health conditions, substance use disorders, and histories of incarceration. Holistic care communities provide patients with community support, medication, education, empowerment, and complementary treatment to meet each person’s medical, social, psychological and spiritual needs.1 Holistic care communities are made up of employed caseworkers and patients who live together and build support networks that can address each individual’s personal, social, and environmental needs.2 The goal is to equip customers to transition into the community-at-large should they express the desire to do so. Holistic care communities and the broad practice of ACT are effective in addressing behavioral health needs for people experiencing homelessness.3 A comprehensive review of ACT models showed a 37%4 greater reduction in homelessness and a 26% greater improvement in psychiatric symptom severity than traditional casework.5 Further studies showed that ACT significantly reduces hospitalization6 and improved treatment outcomes for both housed patients and those who are experiencing homelessness. While not a substitute for appropriate medical intervention, ACT significantly decreases the necessity for psychiatric or medical evaluation as well as expensive medicines for patients.7 Instead of managing behavioral health through emergency rooms and clinics at heavy cost, ACT is a community-centered, lower-cost alternative that can be tailored to people experiencing homelessness. 2. Implement shared decision making. In order for medical and non-medical services to both meet the clinical needs and preserve the dignity and independence of people experiencing homelessness, Shared Decision Making (SDM) should be implemented across service streams. SDM is a clinical model where providers and patients work to reach decisions around care plans together.8 SDM training is not exclusive to clinical decisions; it should also be integrated into the training frameworks of caseworkers and other staff who will engage in decision making roles with customers. 3. Expand employment of peer supports in behavioral health care programs. Hear from a provider about the success of peer supports. Peer support workers have been shown to be especially helpful in supporting people with mental health conditions, substance use disorders, and those with co-occurring disorders. Peer support workers who have been successful in their own recovery process are in an ideal position to share practical guidance, help people develop their own goals, and take concrete steps towards building stable lives for themselves. Hear providers and customers discuss the importance of having voice and peer support. In order to better meet customers’ socio-emotional needs, which are inextricably connected to their physical and mental health, the city and county should leverage Medicaid reimbursability to embed peer supports in all mental health and substance use disorder recovery services for people experiencing homelessness, scaling the number of peers based on the number of individuals enrolled in the program. Following recruitment, peers should be engaged in ongoing training in the core competencies listed above. These identified competencies should inform salary structures, certification standards and job descriptions. Supervisors and workers themselves should also use these competencies to assess job performance. This opportunity to provide effective, culturally-competent care to behavioral health customers is also an opportunity to develop a robust employment pipeline for people experiencing homelessness who have been successful in their own recovery. 4. Establish access to harm reduction approaches system-wide. Hear about the need for and value of harm reduction. 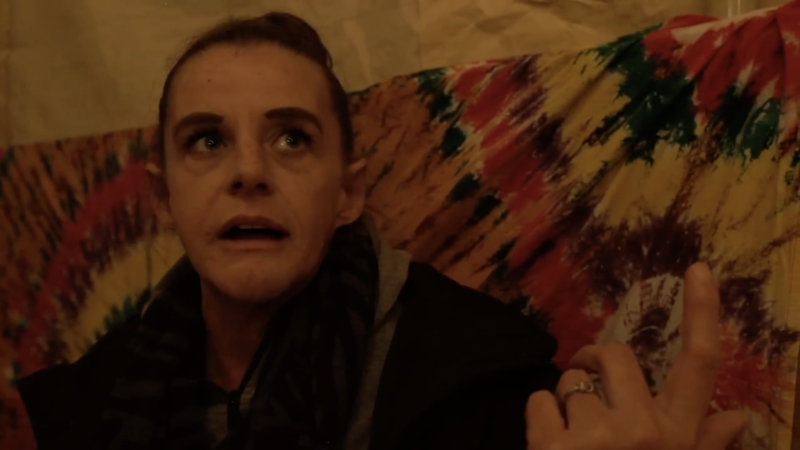 In un-housed communities, harm reduction strategies have the ability to reduce hepatitis,22 HIV,23 overdose deaths, early deaths among those who use substances,24 IV drug use in public places, the number of used needles in public, the sharing of needles,25 emergency department visits,26 substance use frequency, and crime. Harm reduction strategies increase employment among those who use substances, education, and successful referrals to treatment programs and health and social services. Additionally, harm reduction can be enhanced with peer supports, trauma-informed care,27 and co-planning to give agency to people experiencing homeless. 5. Expand access to medication-assisted treatment (MAT) for people experiencing homelessness who are struggling with opioid use. Hear about the need to prioritize support for substance use disorders. Decrease illicit opioid use and other criminal activity among people with substance use disorders. Increase patients’ ability to gain and maintain employment. Improve birth outcomes among women who have substance use disorders and are pregnant. Assessing the prevalence of opioid use disorders and opioid misuse among individuals experiencing homelessness. Developing and implementing overdose prevention and response strategies system-wide, including in encampments, shelters, and in permanent and transitional housing programs. Strengthening partnerships between housing and health care providers to provide assistance in facilitating connections between services and housing when applicable. Expanding access to medication-assisted treatment by scaling the services already available in the region, increasing the number of providers who are able to prescribe these medications, and pairing these services with behavioral therapies and counseling. Removing barriers to housing for those in treatment by ensuring that landlords and providers do not misunderstand these medications to indicate ongoing drug use. There is opportunity to expand MAT in King County. In a 2015 Washington State Medication Assisted Treatment report, areas served by MAT clinics in King County saw positive 80.7% change in publicly funded opioid treatment admissions between 2003 and 2015, and 21.1% change in deaths attributed to opioids.44 Still, access is limited. Substance Abuse Prevention and Treatment Block Grants as well as SAMHSA funding for free treatment referral services and new certified MAT treatments can improve regional capacity to rehabilitate people who experience homelessness and addiction co-occurrence. For refutation of myths that surround MAT please refer to The National Council Challenging the Myths pamphlet.45 The National Institute on Drug Abuse also offers a general model46 and tools47 for implementing MAT. Focus on increasing the capacity of providers. 1. Launch a homelessness specific residency program with a longitudinal integrated clerkship model. Given the density of hospitals and medical providers in King County, and particularly Seattle, a new regional authority on homelessness could work to foster relationships with residency programs to a launch homelessness specific residency program via a longitudinal integrated clerkship (LIC). LICs are a model of clinical education where medical and psychiatric school residents follow a set of homelessness patients across the homelessness system, build relationships in the community, and administer care.48 A homelessness specific LIC would open new pathways to quality, targeted care for people experiencing homelessness and monitoring and evaluation of the homelessness system.49 In this framework, residents, working as both a health system navigator and an arm of primary care, would be assigned specific patients experiencing homelessness. Partnerships with local universities would mobilize available resources and integrate residents to better understand lived-experiences of homelessness. 2. Colocate services and braid funding streams. Creating innovative programs at scale to serve the needs of customers will require fostering and investing in partnerships across provider networks rather than funding individual providers. In order to effectively address co-occurrence of serious mental health conditions, substance use disorders, and serious physical health needs, fully integrated clinics should be prioritized for funding. This should include incentives for mental health, substance use, and medical clinics to be colocated using a collaborative applicant model (as exemplified by the HUD CoC application process). As evidenced by customer voice in workshops and interviews, people experiencing homelessness with significant health needs find themselves juggling time between noncontinuous health offerings. Individuals experiencing homelessness see non-specific and scattered healthcare as a barrier to accessing effective care. Hear customers speak to the challenges with fragmented health services. It is also possible, through innovative partnerships between shelters and HRSA Federally Qualified Health Centers (FQHCs) to leverage reimbursement frameworks that allow for customers to engage in meaningful psychiatric, behavioral, and medical treatment while they are temporarily housed in a shelter context. Additionally, FQHC frameworks allow for the treatment delivered to be culturally relevant to the customer. This makes possible the development of reimbursable programs that are specific to historically marginalized populations, which are overrepresented in the population experiencing homelessness (e.g. Native, black, or LGBTQI people). The Medicaid Transformation transition to Integrated Managed Care (integrated physical and behavioral health services), away from just acute care, begins under the Managed Care Organizations in January 2019. In order to facilitate sustainable long-term services, King County should capitalize on 1) the mandate under the Accountable Communities of Health initiative of the Medicaid Transformation waiver (detailed below) to design and scale integrated care delivery models, including bi-directional integration of behavioral health and community health clinics; 2) the March 2018 amendment to the waiver that covers expanded access to inpatient and residential services for individuals with substance use disorders; and 3) the mandate under the Foundational Community Supports initiative to cover more behavioral health, long-term care, and employment support services. It is especially important to leverage the reimbursement framework for Foundational Community Supports, as it specifically enables supports for accessing and maintaining housing and obtaining and keeping a job under the same framework. The connection between housing and economic instability is described in Action 4, as is the importance of providing integrated quality supports that simultaneously address a person’s stated health, housing, and healthcare needs. The scope of this mandate is expected to expand with the transition to more integrated care systems overall. This must be capitalized on for people experiencing homelessness.